We are pleased to announce that Amazon Kindle is now compatible with your library's eBook collection. All browsing, searching, and checkout of eBook titles can be accessed through the library's iDownloads page. When a user checks out a Kindle Book, a "Get for Kindle" link will be presented that opens a new window (or tab) at Amazon prompting the user to login to their Amazon account. Fulfillment will occur at Amazon's website so you will need an Amazon account to access the library eBook in the Kindle format. No purchase or credit card is required to create an Amazon Kindle account. Once signed in, select which Kindle device or free Kindle app you want to deliver the title to. At launch, browse, check out, and fulfillment of Kindle Books from your library can be completed from we browsers on PC and Mac, iPad, and numerous other tablet devices. LearningExpress offers a wice variety of practice tests (ACT, College Prep, Civil Service, Occupational Practice, ASVAB, etc. ), exercises, skill-building courses, eBooks, and information you need to achieve the results you want—at school, at work, or in life. Looking to land a job? Find resume and job skill help too! Find it at http://www.ohioweblibrary.org/. Look for the LearningExpress A+ icon at the bottom of the page. 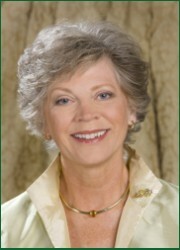 Karen's books have been published in a variety of foreign languages including most recently Japanese and Greek. Two have appeared in Good Housekeeping Magazine, and many are in large print and audio books. Her MIRA novel, Karen's Amish novel, DARK ANGEL, won the Mary Higgins Clark Award, and she is currently writing a new romantic suspense trilogy set in Amish country. A New York Times and USA TODAY bestselling author, Karen writes both contemporary novels and historical novels, the latter mostly set in Tudor England. These include MISTRESS SHAKESPEARE, THE QUEEN'S GOVERNESS, THE LAST BOLEYN and THE FIRST PRINCESS OF WALES. THE IRISH PRINCESS will be out in Feb. 2011, in time for St. Patrick's day. Though she is now a full-time writer, Karen still loves to teach by giving writing workshops and talks about getting published. Come join the Halloween fun on October 22nd from 10-11 as we make a craft, play games and listen to a spooky story. Come in your Halloween costume too! Kids ages 6 to 10 are invited. Pre-registration is required and space is limited. Sign-up begins Friday, October 14th. A Charlie Brown Thanksgiving Family Day! 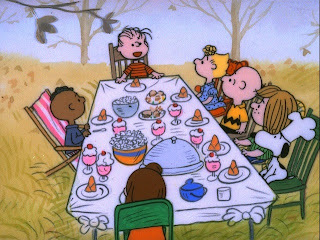 It's a repeat of our ever-popluar Charlie Brown Thanksgiving family day. This event is open for families and requires advanced registration. We'll have a craft, games and the famous Charlie Brown Thanksgiving "dinner"! Lots of fun for all! Sign-up begins Friday, November 4 and we will reserve by groups of two or more and a parent or guardian must attend with their child/ren. Don't forget to post your comments, questions and thoughts below. Become one of our followers and "Friend" us on Facebook.